I recorded the intro in the audio booth at the Cincinnati Public Library’s MakerSpace, which is a fantastic free resource (I’ve also recorded a few interviews there). Once I started editing, it didn’t sound quite right so I re-recorded it in my bathroom with a mic I got on Amazon. I may go back to the audio booth version as I suspect it would sound better with a few tweaks. Speaking of the intro, I found the music I use on The Passion HiFi’s site–they have plenty of great hip-hop/R&B beats available for free download. Which reminds me, I need to make sure I credit them in the notes and on CreativeCityPodcast.com. I created the podcast avatar (the square with the name and picture that shows up on iTunes) using Canva. It’s no Photoshop, but it’s a great tool if you need to make reasonably attractive graphics quickly. Entrepreneur On Fire’s John Lee Dumas made a tutorial that has been a boon! He updates it regularly, so if you’re interested in creating your own podcast, I highly suggest reading/watching/doing what he says. I use GarageBand to edit episodes, mostly because the program came free on my Macbook. For me, “editing” basically consists of adding the intro and outro and cutting any unnecessary dead air time. If I had more time and/or brainpower, I’d sit down and learn how to use Adobe Audition (also available in the MakerSpace), which has a lot more bells and whistles. You have to have a place to host your audio the same way you need a server to host your website. I use SoundCloud instead of Libsyn as it’s free for up to three hours and I like the interface, but Libsyn allows you to schedule the release, so…I’m starting to wish I’d done that. It’s important because the audio RSS feed is what iTunes uses to pull in the episodes, and as with blogging, it’s much more convenient to schedule episodes than to have to physically upload them at the same time every week. Once I export the MP3 from GarageBand, tag it using ID3 (details in the EOF tutorial), and upload to SoundCloud, that’s when the promotional work starts! 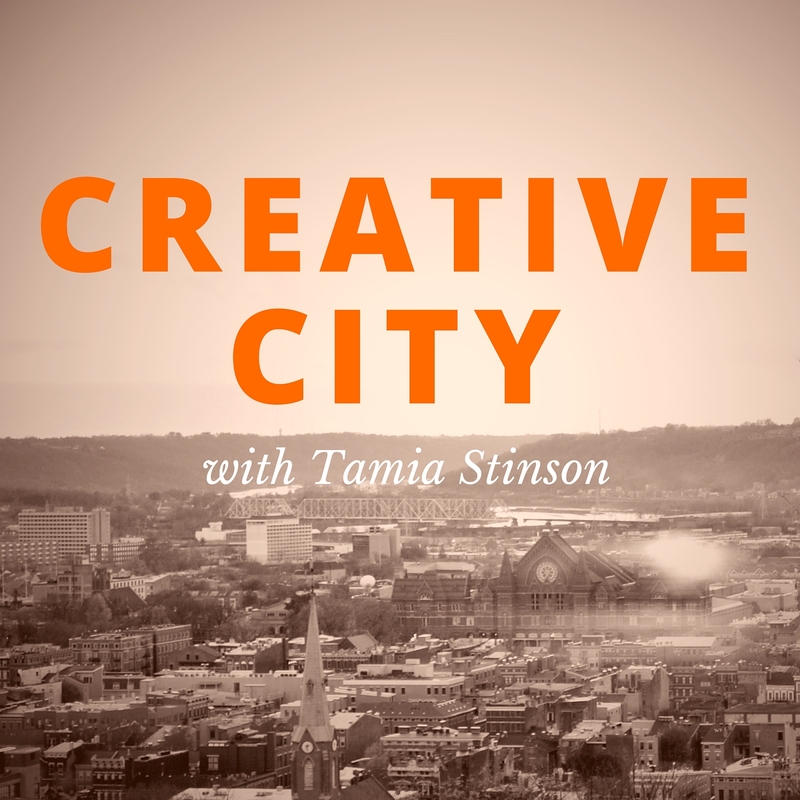 I created a checklist because I’m picky and love checklists, but it includes:- Setting up the post on CreativeCityPodcast.com, including the show summary, links to sites & people referenced during the show, the avatar, and Soundcloud embed. Setting up the subscriber email notification (I use MailChimp), including the show summary and a link to the post on CreativeCityPodcast.com. Sending a thank you email and link to the post to that week’s featured guest. Scheduling any social media posts promoting the show. I need to get better at this, but self-promotion makes my stomach turn. I’m working on it. Want to listen? The first episodes are embedded below and I release a new one every Wednesday, so sign up for email updates to get notified! I hope this was helpful–if you have a question, leave a comment and I’ll answer as best as I can. Happy listening!